I can’t believe how long it has been since my last post–June! I apologize for taking so long to post this update, but with everything that has happened, it has taken me a while to be able to formulate the right words to say. This won’t be a typical diabetes-related post. In fact, diabetes won’t even really be mentioned (other than now) because I want to focus on my recovery from surgery and everything that revolves around that. Of course, LOTS of craziness has happened with diabetes during this time, so all my posts after this one will go back to focusing on all the diabetes-related things that have occurred. Where I left off in June…I was transitioning from being stuck in a wheelchair to finally moving around on crutches. I was attending physical therapy to increase my strength and decrease the sensitivity and pain. In July, I still was nowhere near ready to be cast for a prosthetic, and I began to worry about what would happen with school if I wasn’t back on two legs by then. I mean, the fall semester is the beginning of my nursing school clinicals–I couldn’t still be on crutches for that! At a doctor appointment, I asked if they thought I would actually be back on a prosthetic by the time school began at the end of August. They said that was the hope, but I felt it was overly optimistic. I discussed the issue with school and was told that I had to be off the crutches by the first clinical day, September 11th. Now came the hard decision. I could take my chances and hope that I would have a prosthetic and be used to wearing it full time by September 11th, or I could play it safe and withdraw from my clinical courses, meaning that I wouldn’t graduate until 2017 instead of 2016. I had no idea when I would be cast for the leg, when I would actually get it, or when I would be back wearing it full time. I didn’t want to push myself too hard to get back on a leg and end up hurting myself in the long run, so I dropped my clinical courses for the fall. In order to keep my scholarships, I have to remain a full time student, so I am working on a minor in communication. When I saw some of the various courses offered for this minor (health communication, nonverbal communication, culture and communication), I figured it would be helpful in my nursing career. Although I debated if I made the right choice or not and shed a lot of tears, overall, I feel that I did make the right decision. I was cast for my leg on August 15th but didn’t get it until September 22nd–a week after the start of clinical. Finally back on 2 legs!! It didn’t take as long as I expected to get used to wearing the prosthetic again, and I didn’t need any more physical therapy! The first week I was only able to wear it for a few hours because I would get sore, especially if sitting for a long time. But it took just a few weeks for much of that soreness to go away, and I was back to wearing it full time (with the exception of periods of long distance walking) pretty quickly after that. By the end of November, I was able to walk longer distances and feel completely back to normal! I’m enjoying my communication classes, and after completing two of these courses last semester, I see that I was right in thinking they will be beneficial for me in nursing. Of course, all of this hasn’t been easy. I missed having nursing classes so much last semester, and it feels great to be back in a nursing class this semester–my last semester with the nursing class of 2016. Once this semester is over, I will join the nursing class of 2017. I will miss finishing the program with my friends from the class of 2016, but I tell myself that instead of having one amazing nursing class family, I will have two. In the end, it doesn’t matter what obstacles are placed in your path or how long it takes to achieve your goals. If you really want to achieve your dreams, it doesn’t matter what it takes to get there. I’m getting pretty bad about not writing weekly. It’s been two weeks since my last post. I just haven’t been in the mood to write, and really, diabetes hasn’t been my major focus lately. I mean, of course it’s here. It will NEVER go away, but lately it’s like I’ve been on autopilot with my diabetes. It hasn’t taken up all the energy and focus that it usually does. I think this is the first time since my diagnosis that I have felt this way, and I’m not too sure that I like it. 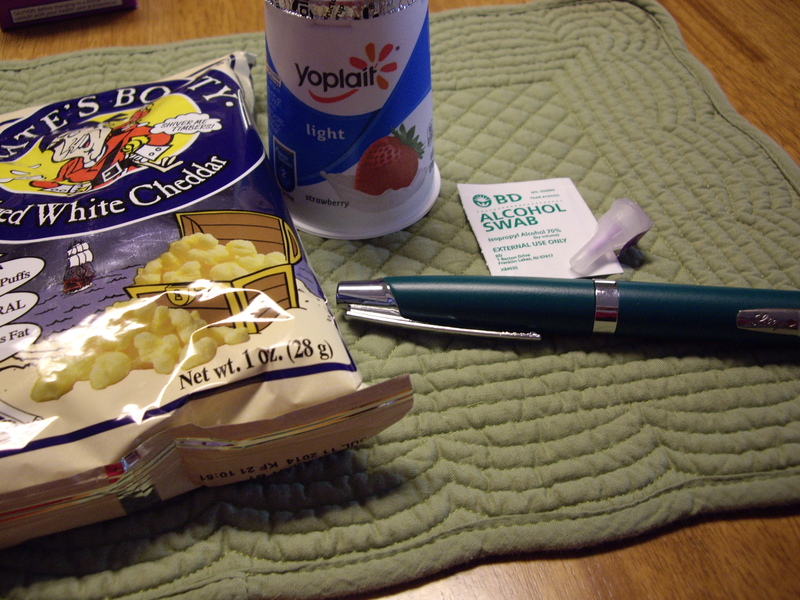 One night when I had a snack, I totally forgot to test my blood sugar before eating. I didn’t realize my mistake until I had completely finished my snack, was going into the kitchen to take my insulin, and began trying to remember what my blood sugar had been. It was weird that I couldn’t remember. I looked at my log and the space for snacktime blood sugar was blank! I’ve forgotten to test only a few times, usually when I’m really hungry and very excited to eat. Luckily, my blood sugar was 120 even after eating so the only insulin I had to take was to cover my food! So what is taking up all my energy and focus? Recovering from surgery and trying to get to the point where I can be cast for a prosthetic leg. Right now the nerves and soft tissue in my limb are too sensitive from surgery to be cast for a leg; I can’t even get the liner that goes into the prosthetic on because it hurts too bad. Because of that, I get to do desensitization therapy. This is to reduce the sensitivity in my limb, hence the name “desensitization” and hopefully get me up on two legs sooner. Basically, I have to rub different materials (towel, sponge, etc.) on the sensitive areas (pretty much the whole scar line) for 15 minutes every 2 hours. To get different sensations, I also stick my limb in containers of rice, beans, and marbles. Because of this experience, I will now be much more understanding as a nursing student/nurse when I have orders for a patient to do something for a certain length of time every few hours. It definitely is a hard schedule to follow everyday! 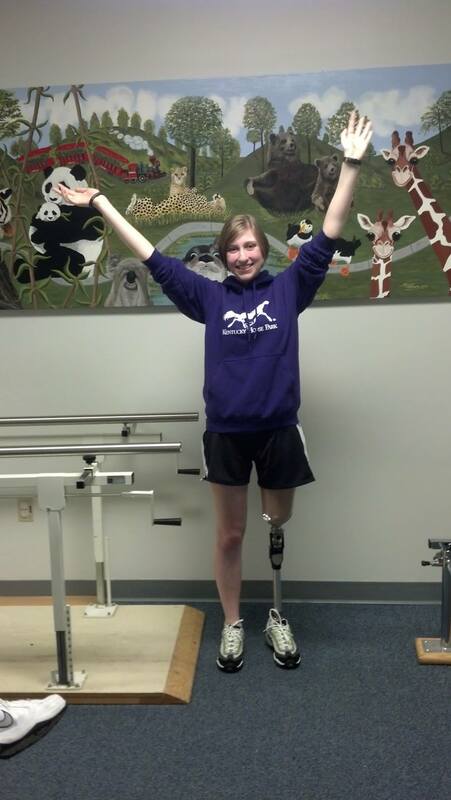 My major goal is to get cast for a prosthetic and be back on two legs by the time classes start in the fall. Junior year, the 2nd year in the nursing program, means clinicals start (I’ll have med/surg and OB/Peds), and I can’t be stuck in this wheelchair or on crutches when that time comes. Hopefully this desensitization therapy works, and I’ll be able to be cast in 4-5 weeks! When I was one week old, I had a blood clot in my left leg and had to have my leg amputated above the knee. Nobody really knows why the blood clot happened. There’s no connection between the blood clot and my type 1 diabetes. Having one leg and wearing a prosthetic leg is all I’ve known my entire life. When I was younger, I had trouble accepting it, with all the rude comments and stares. I never really felt NORMAL. Then I was diagnosed with diabetes at age 14. Suddenly my focus went away from being an amputee to controlling diabetes. I accepted diabetes much easier than being an amputee. Maybe it’s because I know how important it is to control diabetes. If I don’t learn to manage it, it will kill me. But being an amputee isn’t like that. It’s just there. So why am I blogging about this? Well, my focus lately has been back to being an amputee. In two weeks, I am having reconstructive surgery. I haven’t had any other surgeries since the amputation, and this surgery is to help reshape the scar tissue. I’m very scared and worried about a lot of things (I naturally tend to look at the bad side of things and dream up the worst possible scenarios). First, I’m worried about having surgery and being put out with diabetes. What if my blood sugar drops too low during the surgery? Or if the opposite happens and it goes too high? I had to be put out once before to have my wisdom teeth taken out, and I had these same concerns. Obviously, all went well but this surgery will probably take longer. What about the after effects of surgery on my diabetes? I’m not going to be able to wear a prosthetic for a while and will be on crutches or in a wheelchair, so how is this decreased amount of movement going to affect my blood sugar? Will I be able to still give my own shots? I won’t be able to give shots in my left thigh because it will likely be bandaged for a while. When I give shots in my arm, I prop my left arm up on my right knee. Am I going to be able to do that? Maybe I will have to learn to give shots in my abdomen…ugh! Then I just have concerns about the surgery itself. What if the surgery doesn’t go how it’s planned, and I won’t be able to wear a prosthetic again? How would I be able to continue in nursing school or ever become a nurse? I know, I’m playing the what if game, and I just need to let it go, have the surgery, and take life from there. Put trust in the doctors and know that I’m in good hands. I will definitely post an update after the surgery and discuss how it affected my blood sugar. 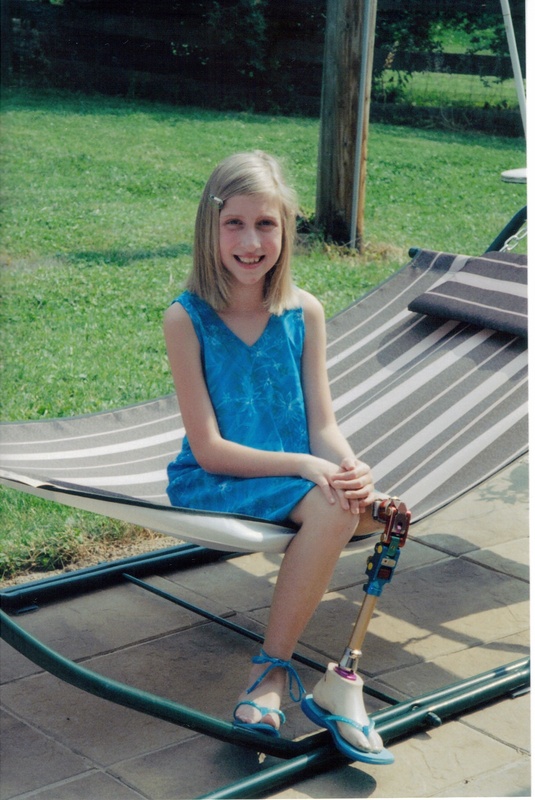 On a kind of ironic side note, April is National Limb Loss Awareness Month!